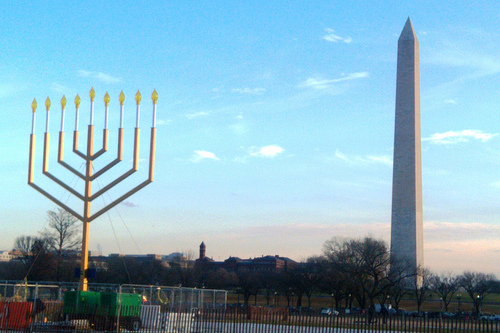 DC Jewish Events on the 25th! Join friends for a laid back “Jewish Christmas” dinner in Chinatown. RSVP by Wednesday to social@jewishfriends.org. Held in two locations—K Street Lounge and Union Jacks! Over 1,000 people expected to attend for a fun night of schmoozing. Donations encouraged—some of the profits will be donated to various charities. Taking place at the Ultrabar, Matzoball promises to be one of the biggest parties of the season! Featuring three different dance rooms, drinks and socializing. Take the opportunity with this day off school/work to give back to the community. The J offers a variety of projects, including card making, party throwing or just visiting those in need. RSVP now as spots are disappearing fast! Better than a ham dinner, enjoy lunch with challah at the historic synagogue! A family event featuring games and crafts, yoga, science, and a special performance by Jewish rocker Sheldon Low. After sleeping off the Matzoball, relax with a little nosh and a viewing of “Sherlock Holmes”! Dinner at Cheng’s Mongolian Restaurant. Optional drinking night to follow. You call THAT Jewish Prayer? Around town for DC Chanukah! Chanukah 5770 is winding down…I hope you’ve had fun lighting your menorah, playing with your dreidel and eating the usual fare of Jewish food. 😛 Though largely a home-based holiday, I went around town to see what I could find—from holidays to bazaars, from happy hours to giant menorahs on the White House lawn. Want to know more? Check out my slideshow below! You call this Jewish Music? The winter season is upon us- the weather turns cold and icy and people begin to count the days until they get a little time off from work or school. Why not warm yourself by the kindling Chanukah lights? Local Jewish groups are getting ready to roll out the red carpet for this well-known religious holiday, which will take place this year from sundown Dec. 11 to sundown Dec. 18. Sunday, Dec. 13 11 a.m.-1 p.m.
Friday, December 11- Friday, December 18: Chanukah!